Nice! Although its sad that another hall double chair is going away :(. 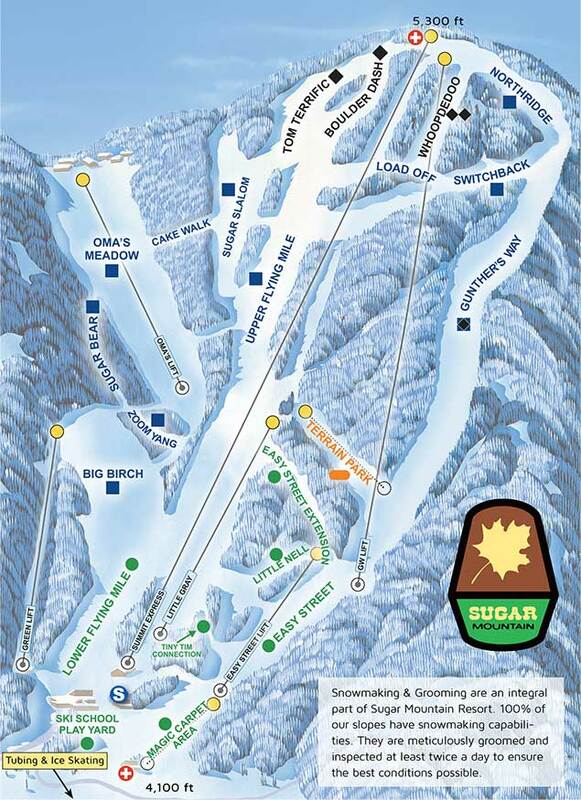 BTW Peter, are you planning to take pictures of the lifts down in north carolina and tennessee? I think more ski resorts should look at this. Having slow, outdated, lifts is not a good beginner lift, even if it cuts costs. Beginner skiers just want to learn how to ski and not waiting on a lift that goes 1 meter per second. Thats why the detachable option is perfect. The conveyer is perfect for loading/unloading and gives way more time then fixed grips. Detachables are well suited to serving beginners, and several ski areas operate them as bunny hill lifts successfully. The big thing, as already mentioned, is cost. Detachable terminals are expensive, and with the short distances most beginner lifts run at, it can be hard for the resort to justify the expense as ride time tends to be pretty low either way. With fixed grip beginner lifts it seems like they have to slow or stop the lift constantly, leading to frustrated skiers. Misloads, and also failed unloads are common. To get around this many hills run their fixed grip bunny hill lifts at low speed, leading to a long ride time for the amount of terrain covered. A detach makes sense there as it allows for slow loading/unloading speeds while not compromising the ride time. If you’ve ever been to any of the big destination ski resorts on holiday days, then you know that the bunny hill lift can get seriously backed up. A HSQ will also allow the skiers to actually ski, rather than spend the whole time waiting in line. Absolutely. We replaced a 1981 Poma fixed triple a couple of years ago, and the public loves the new detach. We run it at 4 m/s, and it rarely stops. The old lift stopped every ten chairs, it seemed. I completely agree. Park City is a fantastic example of a mountain that has installed high speed lifts for their short beginner lifts with High Meadow Express and First Time Express and beginners love it. I learned to ski on the old First Time triple lift (and the SLI 3 kings double, which has also since been removed). When I was 7 and they installed the current HSQ, I remember thinking the ride was over before it began! Killington and Sunday River have had detachable quads as beginner lifts for 30 and 25 years respectively.